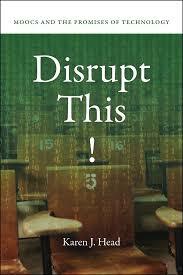 In Disrupt This! MOOCs and the Promise of Technology, Karen Head draws on a “view from inside” of developing and teaching a first-year writing massive open online course (MOOC) to critically interrogate the claim that such technology will fundamentally “disrupt” educational structures. This is an eloquent and intricate analysis that shows how personal experience and practice can add nuance to questions regarding the egalitarian potential of MOOCs, writes Yana Boeva. As I was finishing this book, I noticed an announcement on Twitter posted by my school for a public event about the future of education aided by technology. Not only this, but the conversation hashtag was a combination of the corporate partner’s name and the word “disruptor”. Such rhetorical moves are at the centre of Disrupt This! MOOCs and the Promise of Technology. However, in her book, Karen Head works to challenge the widespread ideas of disruption in education through technology by offering a more nuanced “view from inside” (28). This is her personal tale of developing and teaching a first-year writing massive open online course (MOOC) at the Georgia Institute of Technology (hereafter Georgia Tech) in 2012-13. “Experience is a great generator of nuance”, she points out (8). Through this experience, Head opposes the rhetoric of two existing and influential books on MOOCs and disruptive innovation in education published in 2011: namely, Clayton Christensen and Henry Eyring’s The Innovative University: Changing the DNA of Higher Education from the Inside Out and Richard DeMillo’s Abelard to Apple: The Fate of American Colleges and Universities. For Head, the rhetoric in these books and other popular accounts, which she refers to as “punditry” throughout her text, lacks the reflection of practice. The punditry on disruption, then, provides the context and the topical structure for her comparative analysis. By promising us a “view from inside”, Head begins by outlining how she came to design and teach a MOOC. As it happened, the Gates Foundation had approached Georgia Tech with grants for this. The foundation had a particular interest in offering at least one non-traditional course: namely, First-Year Composition. Invited to join a Georgia Tech faculty-wide meeting on MOOCs, she describes that she pretty much involuntarily joined the bandwagon. As the director of the school’s Communication Center with profound experience in composition, technical writing courses and peer-to-peer student mentoring, Head was considered by her school as the most promising candidate for this undertaking. Despite this, it was the opportunity to build her opinion about MOOCs through practice, instead of reading and hearing about them from others, that convinced her to take charge. Image credit: Learning Online by cabashito (CC0 public domain) via Pixabay. The concept of disruption offers a new business model for higher education. As such, it is founded on the idea that the current state is slow-paced, traditional and non-responsive to the needs of a changing economy. However, to borrow from marketing terminology, the unique selling proposition of MOOCs is rather the promise of change for the good of everyone: that “the underserved around the world” (31) will have free access to top-ranked university education. It is important to note here that the context of disruption is framed by the US higher education model. Moreover, in terms of MOOCs, the largest number of technical platform providers are also US-based, which predominantly partner up with the top-ranked US universities. Hence, the vision of democratisation behind MOOCs becomes murky as Head exposes this small network of players. Access to education is a very contentious issue and tied to financial possibilities. 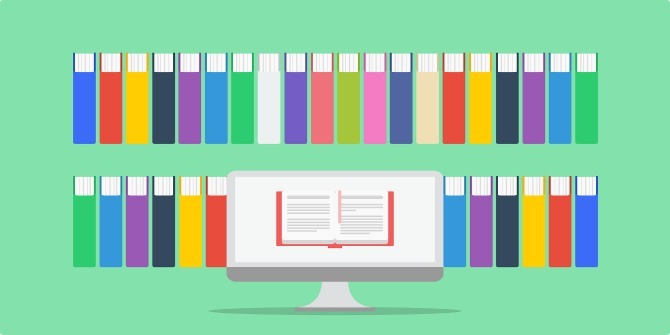 The idea of access to high-quality education through MOOCs, as she points out, is an idea of “academic colonialism” (147)—the adoption of paid content provided by top-tier universities to low- or mid-ranked ones. The development and maintenance of a MOOC also comes with a high price tag that is very opaque. In Head’s case, and perhaps with most other courses, more than two-thirds of the grant went to pay the technical support of Coursera, a leading platform provider. The remainder of the grant barely covered her team of 19 graduate teaching assistants. In the long run, Head asserts that such a scenario would cause a loss of jobs for educators, but also funding opportunities for lower-ranked schools. Credits and certifications are also tokens of a standardised system of education. For US students who are conditioned to count what is being asked from them, as Head notes, a MOOC on writing hardly meets these standards. Composition courses are generally process-based and thus rely on a different assessment model. However, the technical platforms for MOOCs are built on the binary world of quizzes. For Head, this led to a significant amount of problems as the platform providers brought little understanding and flexibility in adapting the technical system to her course’s needs. Through this analysis, she aims to highlight the growing irrelevance of arts and humanities in a standardised, market-driven vision of education. As an example, she quotes the decision of one of Udacity’s founders to restrain from offering writing courses as they appear to be too challenging to teach in a technological environment. Another aspect of a class system is who gets to teach and who gets to say something about MOOCs. From her experience, Head realised that these are not the same group of people. Considering all personal costs involved in standing in front of a camera to teach in a virtual environment, Head draws a conclusion that the perceived “experts” from the top-ranked schools have not had the same experiences as her and many other teachers. “Disruption is something that happens to other people”, she notes (135). MOOCs require access to technology for those who want to teach and for those who “consume”. Hence, the idea of a technological fix for education becomes questionable. The way the current MOOC ecosystem works, Head concludes, distributes more inequality and aims for homogeneity. However, responding to the question about the future of MOOCs, she argues that while they might fail to become superior to traditional classroom experience, they would keep contributing changes in terms of technology incorporation. Yana Boeva is a PhD candidate in Science & Technology Studies at York University, Toronto. Her thesis explores ideas of de-professionalisation of design practice and concepts of expertise promoted by the maker culture and digital fabrication technologies.